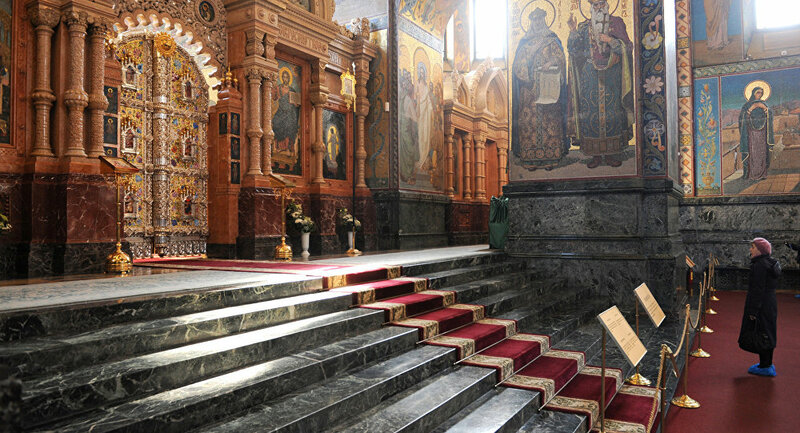 Previously, a representative of the Constantinople Patriarchate announced that the synod of the church had decided to lift the anathema of two leaders of schismatic churches in Ukraine and return the metropolia under Constantinople's jurisdiction. According to Russian Orthodox Church Synod representative Vladimir Legoyda, the Constantinople Patriarchate’s move is deeply anticanonical. “Constantinople, in fact, has declared it entered into canonical communion with the schismatics and with an excommunicated person. The Holy Synod of the Russian Orthodox Church will give a proper assessment of these actions during its next meeting, which will be held on October 15 in Minsk," he said. "In fact, it is possible to describe what was adopted today at the Synod of the Church of Constantinople as the legalization of schism… Unfortunately, the calls from all corners of the world Orthodoxy were not heard in Istanbul. And today the Constantinople Patriarchate made catastrophic decisions — first of all, for itself, and in general for the whole world Orthodoxy," Volkov said in an interview with Russia's Spas religious television channel. Earlier in the day, the Constantinople Synod has confirmed in a statement, it reversed the 1686 decision which transferred the Kiev Metropolis to the Moscow Patriarchate. "To revoke the legal binding of the Synodal Letter of the year 1686, issued for the circumstances of that time, which granted the right through oikonomia [abatement of canonic rules] to the Patriarch of Moscow to ordain the Metropolitan of Kyiv," the patriarchate said in a statement. In response, the head of the press office for the canonical Ukrainian Orthodox Church said that the decision to grant Kiev’s request for an independent church was against all laws and it was up to the Ukrainian synod to decide on the next steps, adding that the church didn't ule out excommunicating Ecumenical Patriarch Bartholomew. Ukrainian President Petro Poroshenko previously supported a movement for establishing a single local autocephalous church in the country based on the non-canonical Ukrainian Orthodox churches, which were headed by anti-Russian clerics. In mid-September, two exarchs of the Ecumenical Patriarchate of Constantinople started working in the Ukrainian Orthodox Church of the Kiev Patriarchate (UOC-KP), which came as part of Constantinople's preparations to grant autocephaly to the UOC-KP. The initiative has been strongly criticized by the Russian Orthodox Church, which moved on to the actual "breaking of diplomatic relations" with the Patriarchate of Constantinople, suspending service with its hierarchs.